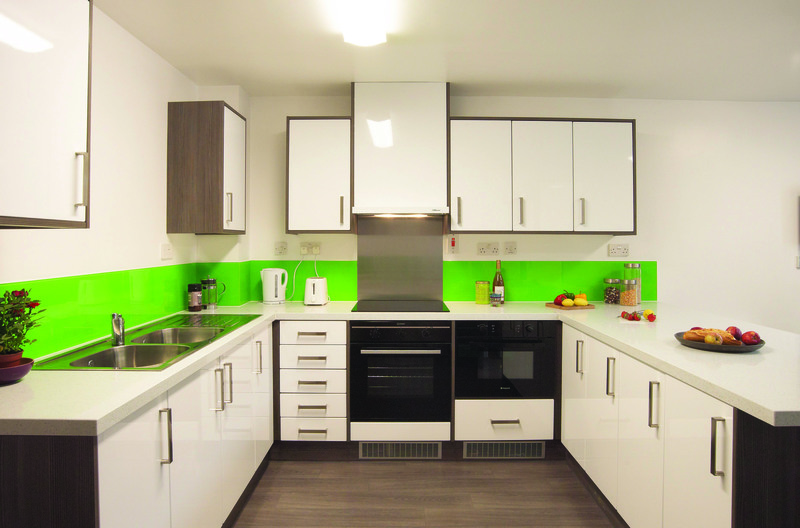 Liberty Living’s Liverpool-based student accommodation, Prospect Point, has recently undergone extensive renovations, which saw Maxtop Quartz surfaces installed in 100 of its kitchens in just six weeks. Student accommodation specialists, Project:FF&E, managed the project and selected our Diamond White Sparkle worktop for all communal kitchen areas within the halls due to its style and long-lasting 25 year guarantee. Neil Dimmock, bid director of Project:FF&E, commented: “Maxtop Quartz came highly recommended by the client, who installed the surfaces in a similar project earlier in the year at one of its Manchester-based sites. “With this type of project it is important to consider product fulfilment. We placed a high volume order, and Maxtop Quartz were able to supply the number of units within a very short period of time. Very impressive! Strength and durability are both vital within student accommodation, and thanks to our unique surfaces, we are continually striking up new relationships with providers in this sector. To keep up to date with the latest news and tips from Maxtop, be sure to follow our Twitter page and like us on Facebook.